Red Habanero was a mediocre dining experience. We were greeted with polite staff alongside chips and salsa to start our meal. There was nothing exceptional about the chips and salsa, as is to be expected. I ordered the Carne Asada, for which I had high hopes. Carne Asada is a type of skirt steak and was served with rice, beans, guacamole, and tortillas with grilled onions and a lime wedge as garnish. For the tortillas they offer a choice between corn and flour, in which I chose corn. The first thing I noticed was how easy it was to cut the meat itself. Carne Asada is famously known as a tough meat, so I was impressed. The taste was good though it was lacking the lime flavor, so I added that myself. 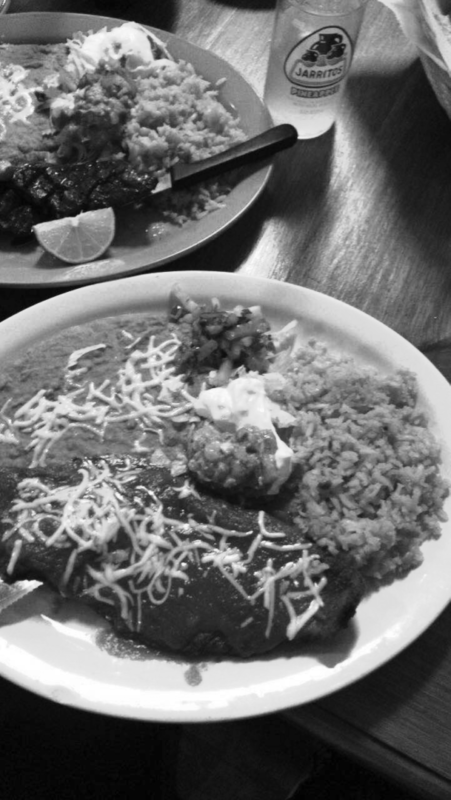 The rice and beans were what comes to be expected for mexican rice and beans, but nothing stuck out to me. I decided to order dessert in attempt to have something that stood out before we left. I ordered the fried ice cream, which was vanilla ice cream that had been fried and covered in whipped cream and with a chocolate drizzle. It was a nice ending to the meal and made me feel better about going to Habanero. Overall, it was a decent meal. Habanero definitely won’t be my go-to place for Mexican food , but it wasn’t the worst meal I’ve ever had.